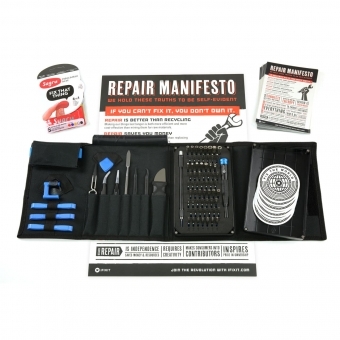 This is a great kit for any group just starting up and in need of some essential repair tools for phones, laptops and other common consumer devices. We only have a limited number of these to give away, so this offer is restricted to those starting up a new community repair group (one toolkit per group). In Rugby we are in the process of setting up a Repair Cafe - are we eligible if not going yet? Might help us get going! We’ve just started a new restarter group in Hinckley and could use the kit please.